What’s the best way to start investing in real estate? a) What do you hope to achieve through real estate investing? Passive income? Appreciation? Tax incentives? Determining your core reasons for investing in real estate in the first place will help steer you in the right direction; real estate is a multi-tier industry with many unique avenues and determining your “why” is the first and most crucial point in getting started. My own personal reason for investing in real estate is freedom – specifically, freedom of time; therefore, I approach all my investments with this as my main focus. Projects that require large amounts of my time or physical presence don’t get much of my attention, regardless of the potential for profit. b) What is your purchasing capacity? Specifically, what types of investments are you even capable of financially acquiring? For example, there are many projects that I would love to get involved with but simply do not have the required liquid assets to get started. Analyzing projects that are out of your reach will result in nothing more than wasted time and energy – so stick within your level and slowly but surely, you’ll start climbing. c) What type of talents do you have that will help your real estate investment career? Are you handy? Well-organized? Patient? Good with numbers? For me, I have learned over the years that I am a creative deal-maker, extremely impatient, risk averse and addicted to freedom. This has naturally led me to investment areas that allow me to use my unique talents while providing the benefits I need to live my life the way I want. My primary focus is passive income and mortgage brokering, which never requires me to be in any specific place. Project management and developments, on the other hand, are time consuming and require a lot of my physical presence, so I stay away from these as much as possible. Find your unique talents and approach your real estate career accordingly. In 2011, I bought my first rental property with no money down. In fact, I borrowed it from a personal line of credit. I quickly bought 19 more in 3 years using a combination of guts, credit, creative financing and a desire to win. The beauty about real estate is that it’s been proven to be the most secure investment, year after year. When I got started, I really had no idea what I was doing but I knew that every wealthy person in the world had a substantial part of their net worth in real estate. That was all I needed to hear to get started. How do you determine if a particular project is a good investment? Real estate is a data-driven industry. Meaning, there is no shortage of information available to any investor who simply takes the time to do the research. With that said, it can also be an overwhelming process, often to the point where the majority of people fail to invest at all. We call this “analysis paralysis” – the process of researching yourself to death and becoming overloaded with confusing, contradictive information. 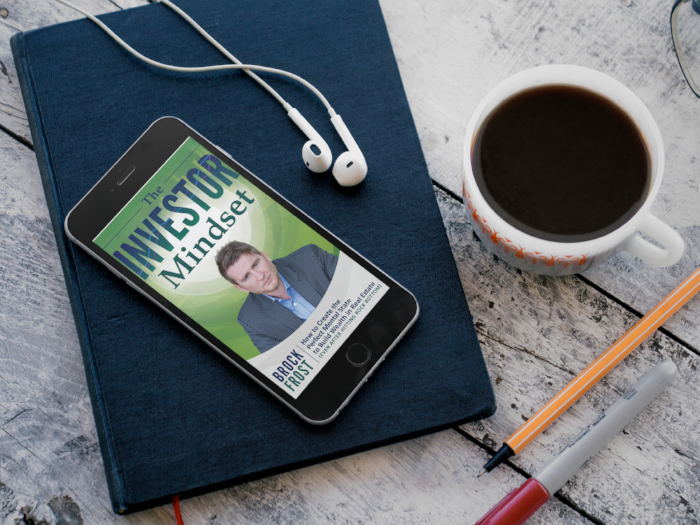 Knowing what and where to research, and whom to listen to, is the key to successful real estate investing. Don’t listen to anyone who doesn’t invest themselves, they are the pessimists who will only try to prevent you from getting ahead. Follow investors who walk the walk and take their advice seriously. They are likely successful for a reason so learn from their own personal successes and failures. Personally, I am always available to answer questions from anyone who shows a general interest in real estate. I follow a system, each and every time, and this is the way everyone should approach real estate – as a systematic approach. Analyze the market, review the financials, have a back up plan and exit strategy, assemble the right team players and make it happen. Have you ever lost money in real estate? Technically, no. But several projects I have gotten involved with were certainly not worth the effort. For example, in 2017/2018 I got involved with a very large real estate flip. Despite making $50,000 on the deal, the project was a nightmare. It took 10 months instead of 4, I had 3 contractors abandon the job, two law suits, an insurance claim, and the list goes on. $50,000 is a lot of money for sure but when I factor in the time, energy and stress it required, it is undoubtedly clear that I could have directed my resources elsewhere. Years ago, I created a quote to answer this very common question: “The best time to buy a property was 10 years ago.” All jokes aside though, this does have merit. People are always looking for that “perfect time” to enter the real estate arena and believe me, there are no shortages of “experts” claiming to have mastered the market like never before. The simple and bottom line is this: real estate is a long-term game and therefore, in the long run, you will win. Certainly there are short term lapses, dips, bubbles or whatever other word you like to use, but in the long run, real estate is a winner. People who lose money in real estate often don’t wait out the bad times, especially with novice landlords. I have seen many new investors dispose of great properties because of one bad experience and they sell at a loss (because the market was down at that point). I see this all too often, and it’s incredibly foolish. I suppose it’s no different than the stock market. I suppose there is no perfect time to invest in real estate, and even if there was, there is no way of knowing for certain; but with that said, start early; start as early as possible. Ride out the downs, and reap the rewards in the long term. If you could give any advice to a novice investor, what would that be? Get into the game! Just do it. I see more smart people stay away from real estate despite the overwhelming evidence to support investing. The hardest part is getting started; but once you do, you’ll be hooked like I am. I would and will never do anything else. Have you ever you made any mistakes as a real estate investor? Oh ya! Plenty. As mentioned previously, I have never lost money in the true sense of the definition but I have certainly made my fair share of mistakes. I’ve bought the wrong properties, picked the wrong team members, over-extended myself (financially, mentally and physically), rented to the wrong tenants (several times) and got into pointless legal battles that went no where. Nevertheless, I am still very proud of what I have accomplished in 7 years. Every investor will make mistakes – guaranteed. But if you never get into the game, you’ll be making the biggest mistake of your investment career. Can you recommend any sources of information that can help me get started? People are your biggest resources, but only people who are successful in real estate. Don’t listen to the naysayers, they will prevent you from doing what you know you should – invest. Find a mentor or someone who lives a life the way you desire to. Follow their systems, follow their advice and learn from their experience. Many people say real estate is risky. Do you agree? I suppose you could say there is risk to anything and everything in life, especially if you don’t know what you’re doing. But not doing something simply because there is a risk is foolish and completely the opposite of how an investor should think. Risk is certain, but what’s important is the ratio between the risk and the reward. I have taken huge risks, many times, and have reaped huge profits as a result. To be clear, I am not suggesting gambling with your net worth every single time, because eventually you will lose it all. But calculated risks are a good thing, and honestly the only way to make any decent money in this world. Don’t be scared, you’ll be alright.